Are recent polls showing the Conservatives finally on top in nationwide polling to be taken seriously? Most people dismiss or petulantly claim that the pollster is biased when a poll does not show their preferred choice in a favourable position. Nonetheless, the most recent EKOS poll, which has a sample size of 2,974 has the Conservatives at 35 percent overall support and with an astonishingly high 26 percent in Quebec compared to the Liberals' 27 and the NDP's 25. The poll is simply yet another in a series of which show Conservative fortunes ticking upward nationally, sending the anti-Harper crowd in a dither. However, what is particularly interesting with this poll is the unusual strength the Conservative Party is showing in Quebec. From typically polling fourth, with between 10 and 15 percent to now being second place in the province, in an essential three-way tie with the two opposition parties is a significant turn-around. To further cement the view that the Conservatives are on the comeback, the popular and credible poll aggregator threehundredeight.com has for the first time in a very long time placed the Conservatives in first place in terms of popular support in their last update on February 6. Influential Quebec political commentator and former Transport Minister under the Martin Liberals, Jean Lapierre, stated last week on a Montreal radio talk-show that this could translate into around 20 seats for the Conservatives in Quebec. If his hypothesis is accurate, that would mean a gain of 15 seats in the province. What is also clear in the EKOS poll is that the only part of the country where Liberal support is astoundingly high is in the Atlantic provinces, which currently has 13 Conservative seats. Assuming the Conservatives lose most of their seats there, the gain in Quebec would basically nullify that loss in the Maritimes, and then some. This has led to the Liberals' embarrassing and not-so-subtle back-pedalling on the issue. Note that the Liberals opposed the mission against ISIS back in October, with an abstention from popular and respected Montreal MP Irwin Cotler. As a means to attempt to be forgiven for their decision to not support the mission, they are now coming out in full support of the anti-terrorism bill, with the only noteworthy opposition coming from the NDP. Moreover, the Prime Minister is not afraid to call out radical Islamic jihad for what it is, and Quebecers may appreciate that refreshing level of rhetoric from a political leader. The recent high profile terrorist attacks both at home and in Paris may be elevating the sense of urgency in the minds of the electorate. Stories continue to emanate from Quebec with regards to the perceived rise of radical Islam in the province. Recently and most notably was the story of a controversial self-proclaimed imam with unpopular views regarding women and democracy who wanted to open a community centre/mosque in Montreal. The level of media attention this story received in the province and the substantial reactionary public response to this story is a striking illustration of how passionate feelings are in the province with regards to the subject. This means that Trudeau now has the difficult task at attempting to strike a balance between the "progressive" view on the anti-terror legislation in the rest of Canada and the view Quebec has. What's more, popular Quebec provincial politician Gerard Deltell is rumoured to be running for the Conservatives in the next election. He currently represents a Quebec City area riding for the centre-right Coalition Avenir Quebec party and is a popular figure in the party and in the region. If in fact Deltell does decide to run, not only would he almost certainly win his seat, but his name recognition and gravitas would also send tremors not only throughout the region, but the province as a whole. Of all the regions in the province, the Quebec City area is well known to be most friendly to the Conservatives. It is where the vast majority of Quebec seats came from in both 2006 and 2008, as well as where they remained competitive in 2011. And finally, there may just be a lack of options for voters. While Quebecers may not be crazy about Harper, they're used to him by now and may figure the other options are just not good enough. The NDP sweep of the province was a fluke credited to Jack Layton's popularity, which despite Thomas Mulcair's best efforts, may be very hard to hold onto. The Trudeau name brings about mixed reactions. Among the Anglophone and immigrant groups who were generally fond of Trudeau senior, Justin Trudeau is popular. However, Anglophones and immigrants in Quebec are largely concentrated in Montreal, and despite the Liberals being in first place in the province, that support is likely focused in the Montreal region, and thereby may not translate into that many more seats the Liberals desperately need. 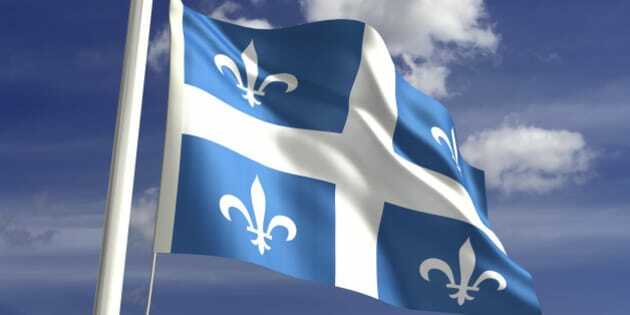 Among Francophones, the sentiment generally boils down to the separatist/federalist divide. Moreover, with the Bloc in near obscurity, the separatist vote is going to go somewhere and it is generally understood that most of that vote trends to the NDP. The key demographic that is vital for whoever wants to win elections in Quebec is the soft nationalist vote, those who neither define themselves as federalist or separatist.